Ever wonder how Google manages to search the entire web and return results in half a second? 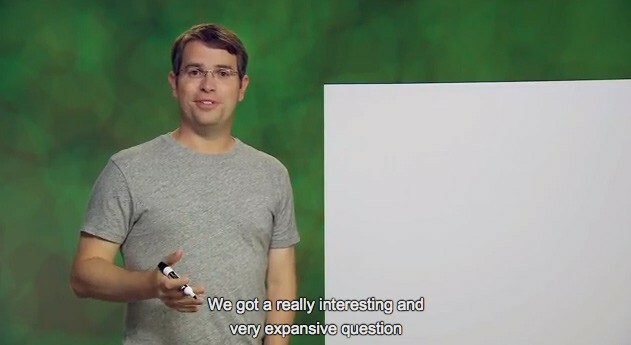 Well, RobertvH from Munich did, and Mountain View’s head of web-spam, Matt Cutts, talks you through it in the above YouTube video. The short answer? Lots of backend firepower and, you know, a few years in the search game. If you remember the Google dance, Cutts explains what caused that, before going on to give a good idea about how today’s version of the site does what it does. If you’re thinking this all sounds a bit too much like SEO 101, you’d be half-way right, but as Matt’s delivery is so engaging, we’re def hoping there’ll be a follow up. Google explains how it searches the internet in under half a second, if you can find the video originally appeared on Engadget on Tue, 24 Apr 2012 17:06:00 EDT. Please see our terms for use of feeds.